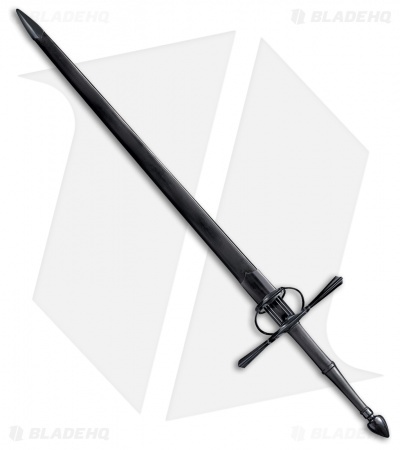 This Cold Steel MAA La Fontaine Sword of War offers a historic replica design for collection and display. Steel handle with elaborate ring guards, counter guards, peaked quillons, a counter balancing pommel, and closed ricasso. 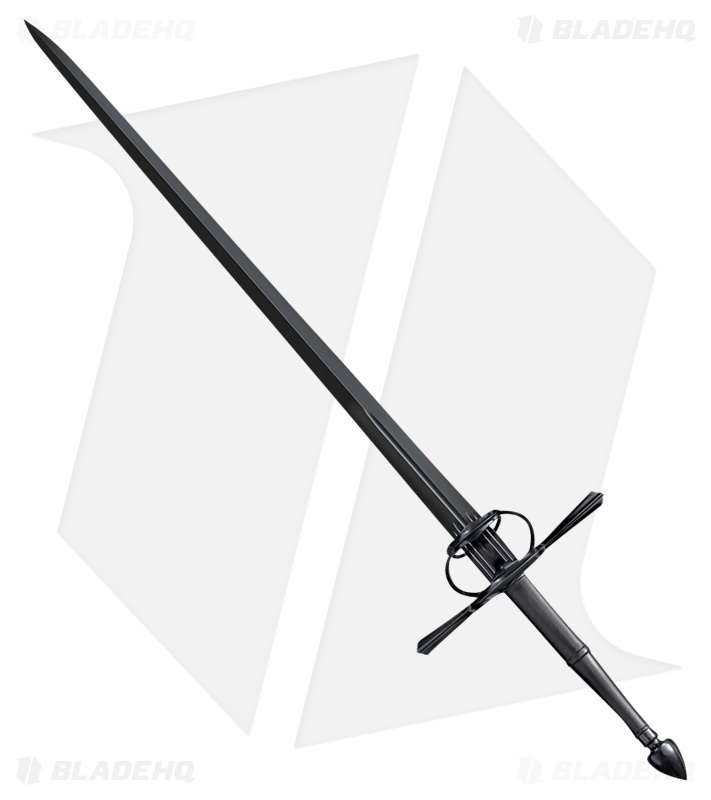 Black leather and steel scabbard provides a safe storage option. 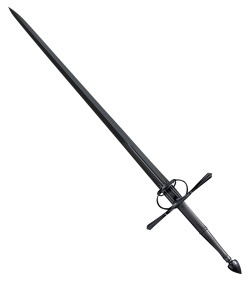 1050 high carbon steel blade with a double edge and a black finish.